The hardware firewall is specifically designed to keep away hackers and intruders from getting access to your network. You have the ability to configure the firewall so that it keeps off specific types of applications by blocking communication from ports used by the unwanted applications. The firewall will keep you protected from spyware attacks by stopping outgoing data packets sent from a computer that is infected to a hacker or intruder. A hardware firewall should be considered as the first line of protection your computers have against “intruders” such as worms, remote control applications and hackers. Without the protection of the hardware firewall then your network “door” remains open and anyone or anything will be able to get into your network and leave at will. You need to worry about the safety of your computers irrespective of the fact that you may have important documents stored in them or not; hackers can damage your computer hardware, take control of your network and kill all your computers. The firewalls use several different techniques to protect your computers against network threats and other intruders. The firewalls give you flexibility and total control of whom and what can access your network by allowing you to control both outbound and inbound traffic. 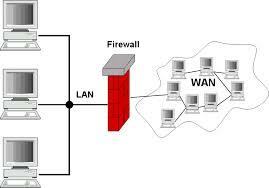 Depending on the size of your network the hardware firewall can be complex or simple to understand; small business or home hardware firewalls can be installed by almost anyone who has an good technical ability or some basic understanding of network whereas high-end corporate are advised to engage certified technicians to install their firewalls. Most of the hardware firewalls in the market use some sort of “checklist” which uses packet filtering which blocks certain types of data packets and allows through other types. If any data packet attempting to gain access through the network and fails the set criteria it is blocked and not allowed to get into the network. Another technique employed by hardware firewalls is the Stateful Packet Inspection (SPI) which analyzes the data packets for extra characteristics to so as to determine what action to take. It checks the data packet as well as where it came from by determining if it is due to a request for information or whether it “just appeared”. The SPI uses logical analysis to determine how to treat any incoming packet data thereby making the hardware firewall “smart”. The cost of a hardware firewall varies from one provider to another but is greatly determined by the size of network it is to be installed in and the security requirements of the said network. It is therefore advisable that you shop around and research before you pick one that fits your budget but offers what you are looking for. By installing hardware firewalls your network will definitely be more secure than not having it installed. You may question the effectiveness of software firewalls but you need to note that they regularly need to be updated failure to which your network remains open to bug fixes made in the new versions. It is therefore advisable that you have both hardware and software firewalls installed in your network and computers respectively for maximum protection. While considering the installation of a hardware firewall it is advisable that you only have one running on your network at a particular time. Having several firewalls working at the same time will put your computers at risk of crashing which will only leave your computer and network vulnerable to hackers and intruders. For your hardware firewall to effectively work it is advisable that you turn off the printer and file sharing features of your computer but if you have them on ensure that you only share them across your network.